This Dy Nguyen and his baby girl. This is Dy Nguyen and his baby girl. 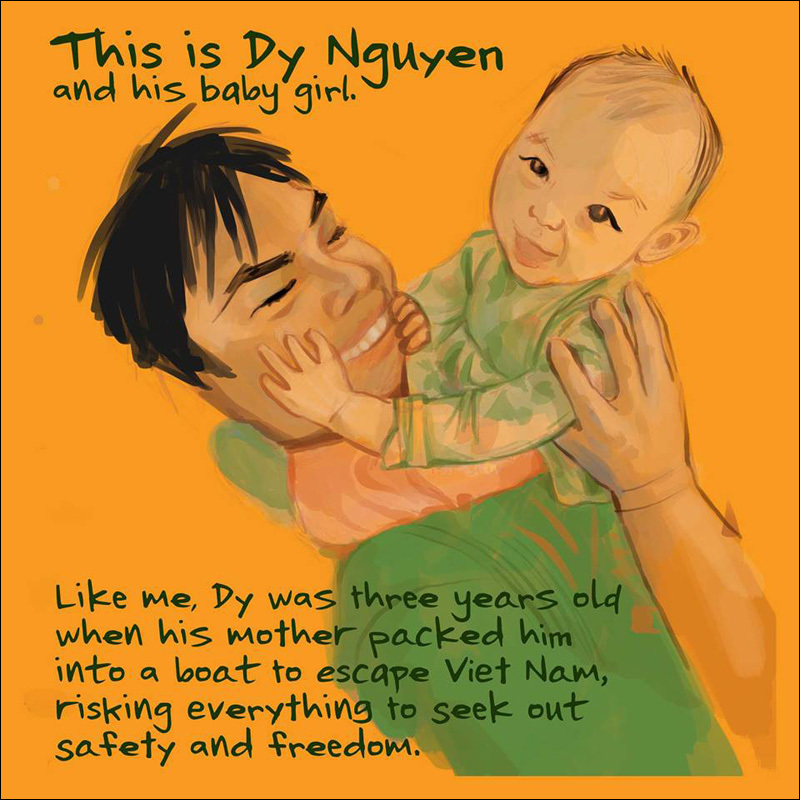 Like me, Dy was three years old when his mother packed him into a boat to escape Viet Nam, risking everything to seek out safety and freedom. A victim of political persecution, Dy's mother had been trying to escape since the fall of South Viet Nam. After three failed attempts, Dy's mother made it to Malaysia with her husband and their two boys. But unlike my family, who were resettled after a few months, they were left in the refugee camp for seven years. The camp eventually shut down and they were sent back to Viet Nam along with the other abandoned refugees. By then, Dy was ten years old. Viet Nam and the U.S. negotiated a program called Resettlement Opportunity for Vietnamese Returnees, and through a complicated screening process, Dy's family was finally allowed to come to the U.S. when he was twelve. The next years of his life were marked by his parents' separation, moving between states, and getting into trouble. In his early twenties, he was convicted for theft by receiving stolen property, lost his green card, and served a five-year sentence. In prison, Dy began to reform. He studied and earned his GED. He found strength and healing in his spiritual faith. Since his release, Dy has been an active member of his church, where he serves as a youth leader and uses his past mistakes to steer those he mentors towards a better path. Meanwhile, ICE keeps trying to deport him. The first time was while he was still in prison. Viet Nam would not accept him so ICE let him go after he served his time. Dy settled into a steady job, his church service, and a quiet life in Lawrenceville, Georgia. He got married last year, and this year he became a father. Then on November 6, 2017, ICE took him away again. He was getting ready to go to work. His wife was at home about to take their five-month old daughter to a doctor's appointment. ICE officials asked Dy's wife to go upstairs to get his shoes and jacket. When she came back down, they had already put him in their vehicle. Dy was not allowed to even say goodbye. In early October, around 150 Cambodians and 95 Vietnamese were picked up by ICE for deportation. These are the largest raids to ever target the Southeast Asian community. There are about 2000 Cambodian Americans and 10,000 Vietnamese Americans at risk of being picked up in future raids. The detainees have been transferred far from their homes for processing, then re-transferred to separate detention centers, making it hard to communicate with them or advocate for them. The families live in fear, waiting to be torn apart. Dy's daughter, brought to Stewart Detention Center to visit him, cried because she could not touch him through the plexiglas wall. Please join me in resisting this injustice. 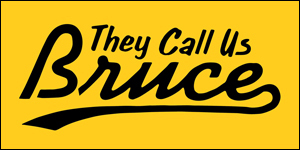 Support the work of Asian Americans Advancing Justice - Atlanta. Georgia is home to Stewart Detention Center, the largest detention center in the United States. Stewart Detention Center is located in Lumpkin, Georgia, an isolated and remote town which makes access to family or legal counsel extremely challenging. After learning that dozens of Vietnamese people from all over the country were being detained at Stewart Detention Center, Advancing Justice-Atlanta quickly sprung into action. Since ICE’s roundup beginning in late October, Advancing Justice-Atlanta has helped organize trips to Stewart Detention Center with other lawyers and advocates to offer community support Vietnamese detainees, as well as screen for legal relief. To support Advancing Justice-Atlanta’s continuing efforts to help those impacted, please consider making a donation at Advancing Justice - Atlanta. 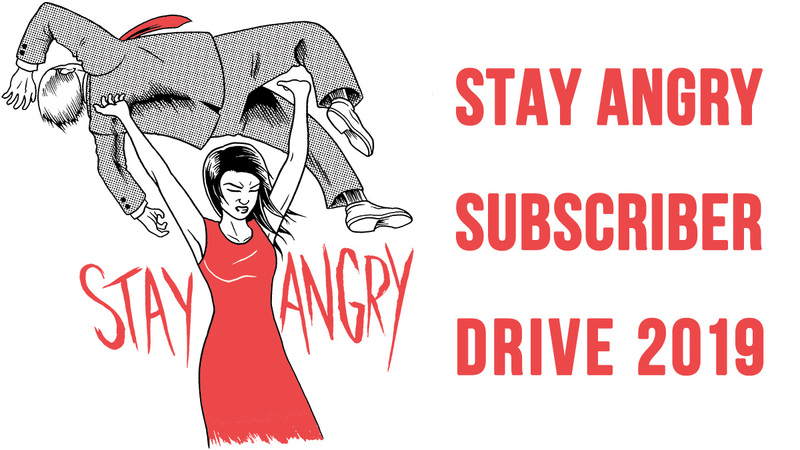 Support the work of Asian Americans Advancing Justice - Asian Law Caucus and Asian Americans Advancing Justice - Los Angeles, who have filed a class action lawsuit on behalf of detainees. They recently WON a delay for the Cambodian refugees who were to be deported on December 18, 2017. All donations will be matched until end of December. Share and spread the word throughout our communities!